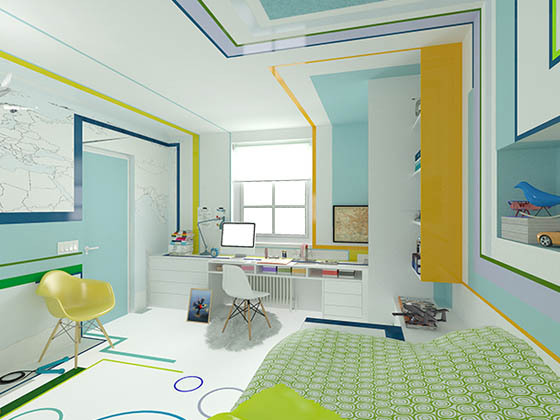 “The Little Pilot”, designed by BRANI & DESI, is a room for a little boy who loves the idea one day to become a pilot. He loves to build airplanes and stories about famous pilots. 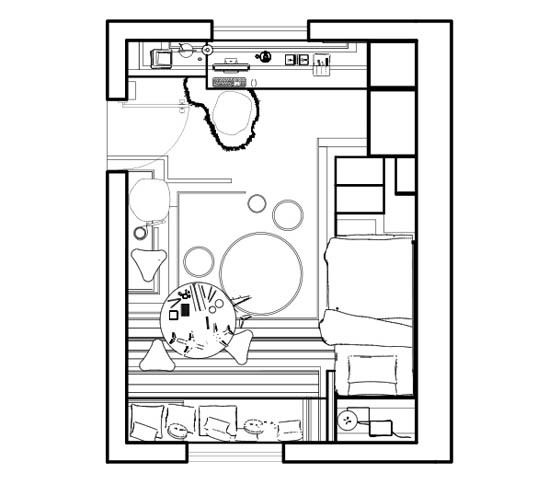 The room is divided into few zones. 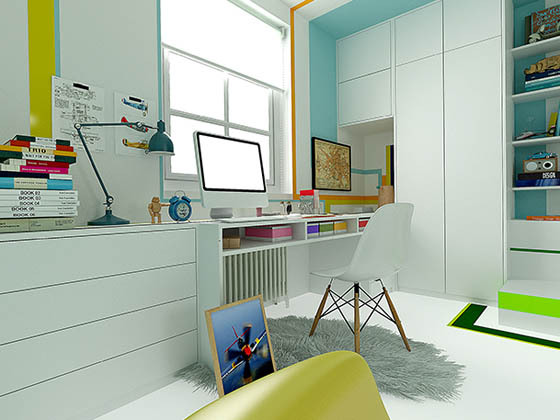 Besides the bed, little boy has a few workplaces – working/playing on computer, building an airplane or reading stories, or just seating on the floor and dreaming while looking the map on the wall. 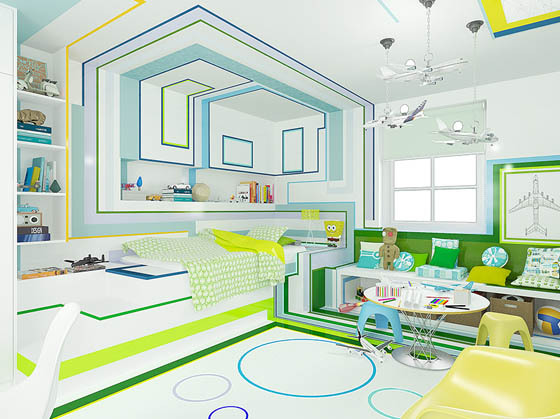 And if you feel a bit dizzled about the colorful stripes in the room, they actually have special meaning: stripes in blue – the color of flying; in green – the color of landing; in orange – the color of thinking and creating. 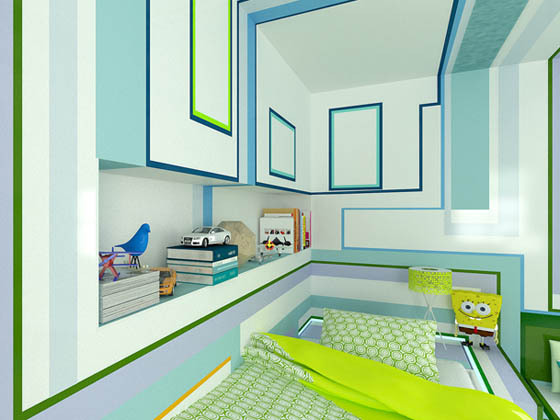 Not sure how much you like this kids room design. Personally, I like most of it except those stripes.